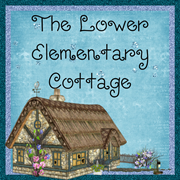 The Lower Elementary Cottage: Top 3 Products and a Freebie Linky! It's been a crazy day in Lower El, and not in a good way! I'm going to chose to focus on on the things that went really well! 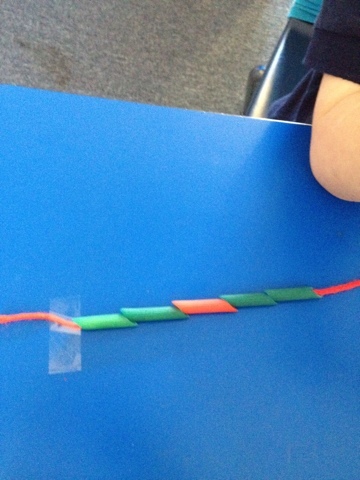 Our pattern unit is a huge success! 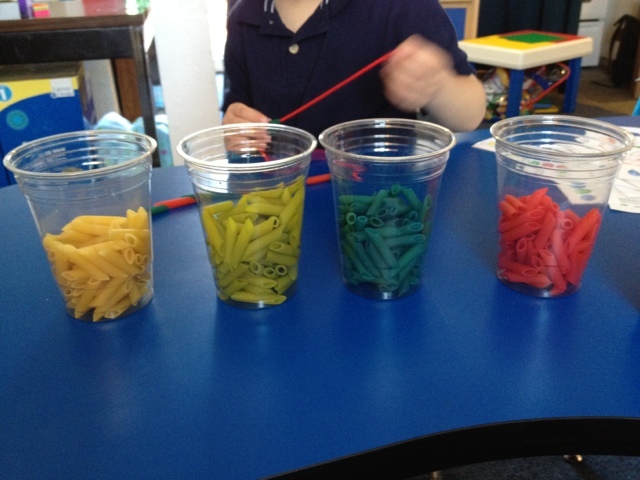 The kids just love the noodles I dyed and have been making pattern necklaces. 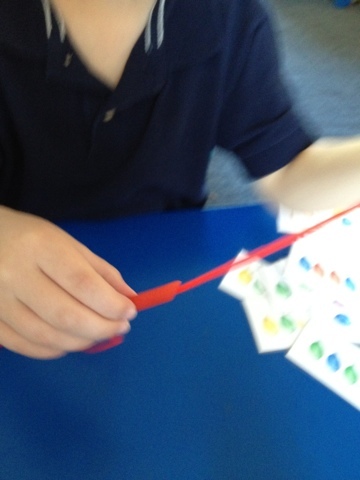 I was so excited by the fact the kids wanted to make their necklaces for other people instead of themselves. They wanted to make them for their moms. So sweet! The colors came out beautifully!! My other shining moment happened when two of my boys with autism had two-way conversations successfully today without prompting! As in I said something about the strawberry farm we're going to on Friday, he said something back about another strawberry farm he's been to, then we talked about how they are different places but are both strawberry farms. I realize this is a very mundane conversation, but it's HUGE for this little sweetie pie. I've very excited about the fact that we have not one, but TWO field trips this week. I'll be posting funny stories and some pictures later this week. I'm joining up with Hopkins Hoppin' Happenings for the Top 3 Products and a Freebie Linky party! My top selling products by far are my Common Core Records (Math available for K-3, Language Arts available for K-2). I'm know this is technically 7 products, but essentially they all serve the same purpose depending on what grade you teach. I happen to teach many grade levels! 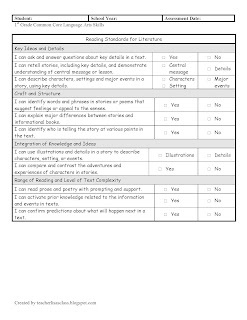 These pages are a easy way to check off which Common Core Skills your students have learned using "I can..." statements. Click the "Buy My Products" tab at the top to get the link for each grade. 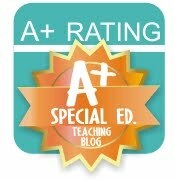 Here are the first grade links so you can take a peek. 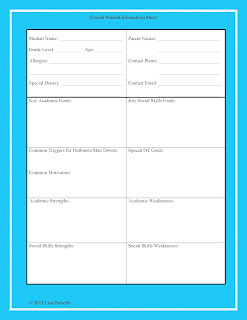 My #2 top seller is the special education student information sheet. 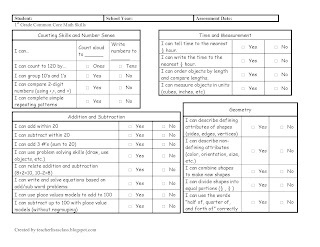 This is an "at a glance" look at all the info you need for a special education student without having to dig through million page IEPs. 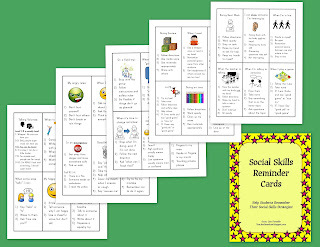 My #3 best seller is my set of Social Skills Reminder Cards. 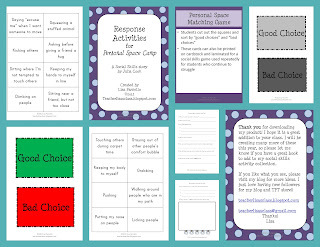 These easy to use cards are great helpers for students who need extra reminders about how to behave in specific places/situations. I designed them for kids with autism/asperger's but they work great with any kid having social skills struggles. The set includes 30 cards that can be used individually or placed on a ring for students to flip through. Last, but definitely not least... my most popular FREEBIE!! !